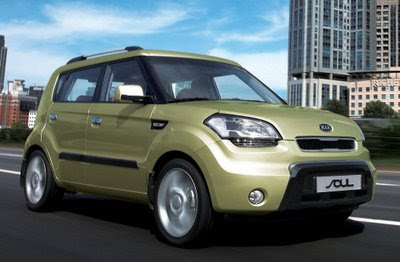 The Kia Soul, which will debut at the Paris Motorshow, will be available in the States with a 2.0 liter, 140 hp engine according to various Web sites, such as Autoblog.com. Europe will have a choice between a 1.6 liter producing 124 hp, and a turbodiesel making the same amount of power but twisting out 188 ft./lbs. of torque. Autoblog has some good photos of the Soul. This is one car that I really want to see this vehicle in person to get an idea of how large small this vehicle is.